After one week in Sardinia, I decided very spontaneously to add another week in Tuscany. So I booked the ferry from Olbia to Civitavecchia (Rome harbour) as I always wanted to see the southernmost part of Tuscany and the coastline along Lazio. Well, I am not a big fan of sleeping on ferries so it was crystal clear that a sumptuos place to sleep must have been found. 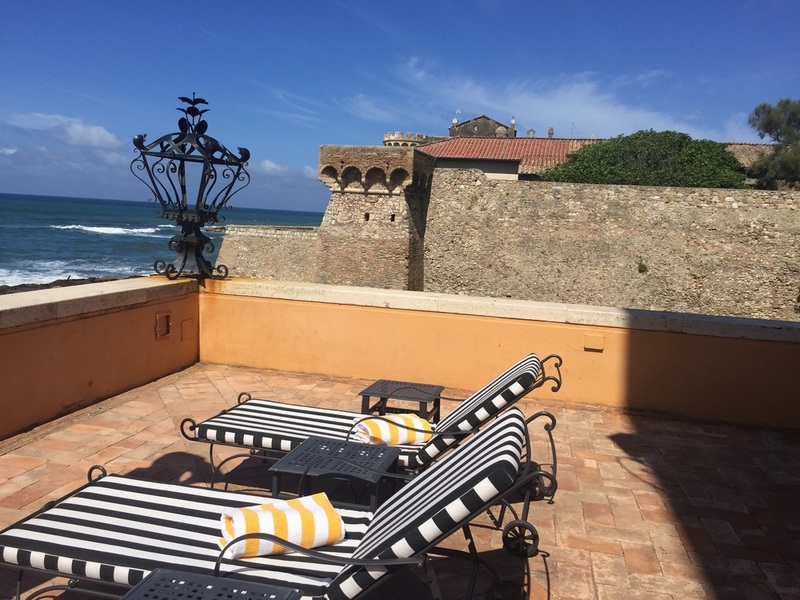 La Posta Vecchia has always been on top of my travel wishlist (like it is on every luxury traveler's list) and so I did not hesitate in booking a room for that short stay. While I was pleasantly surprised of Grimaldi Lines and their latest ferry ship, I did not ever dream of what an amazing night was awaiting me. Upon arriving in the traffic jungle of Civitavecchia - Benvenuti on mainland Italy - I immediately drove towards Ladispoli. A wonderful 50-minutes-drive later I arrived at a completely remote entrance gate in the middle of a cozy forest with a small sign indicating Leading Hotels of the World and the hotels name: La Posta Vecchia. Next to the sign was a bell and upon ringing it, the heavy iron door opened. I have to admit that I fell in love with this place from the moment I drove through the vast grounds, along the helipad and tennis court until I reached the main front of the century old villa lying in front of me like it has always been waiting to be inspected by Travel Executive. A porter was already waiting outside the hotel as the lovely and welcoming front desk lady Cynzia. Due to the bell outside the hotel they knew my name and could prepare everything. I stopped the car and everything has been taken care of. 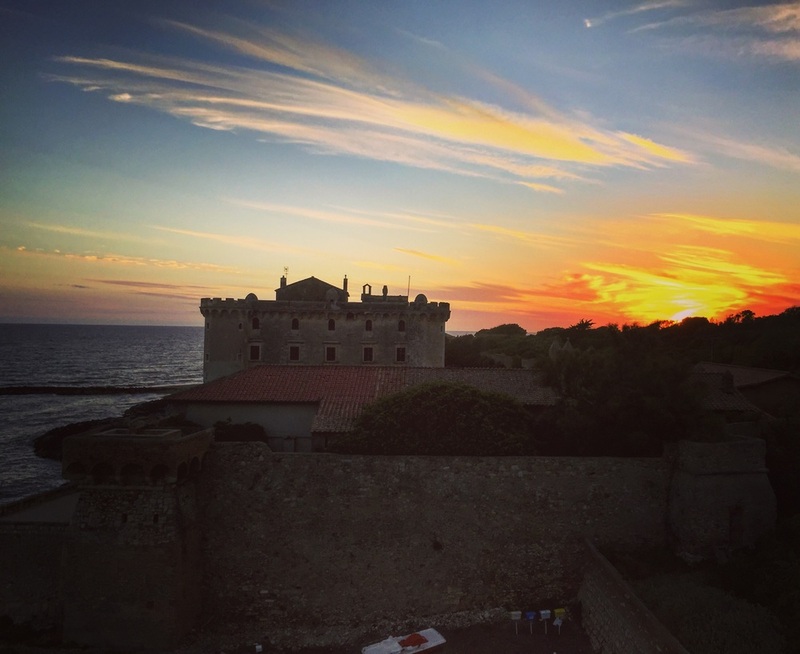 So from the moment I stepped into La Posta Vecchia, another luxury hotel stood on my secret "favourite places" list! Just two signatures, a passport and a friendly conversation later, I was already on the way to my upgraded Junior Suite aka "The Angels Suite"! Well, who would not be impressed when you hear the name of this suite? We started the tour and I didn't know what to say: the medieval villa with all its glamour of the present times when Jean Paul Getty 1 once owned it, the amazing views over the Mediterranean and the old castle next to the hotel, the splendeur of the rooms and the luxury of the antique furniture or the simply flawless service - I can't say what has impressed me most. Once we arrived at the top of the right building, I was allowed to gather a first view into my Junior Suite: A separate living room with the most comfortable sofa and a minibar with the coolest selection (plus complimentary soft drinks), a light filled bathroom with chic tiles and a cool shower with interesting toiletries (only available at the La Posta Vecchia and Il Pellicano - the sister hotel) as well as spacious bedroom with canopy bed, the best bed linen I have had experienced so far as well as lots of wardrobe space and full sea view (generally all the rooms in my Junior Suite had direct sea view)! Turn-down service was wonderful and came with excellent chocolate. Altough I would have loved to have breakfast en suite, I am happy that I didn't to it, as it turned out to be the another highlight of the stay. Generally, there is always something to improve at breakfast, however La Posta Vecchia really occupies one of the top places. I can't imagine a better kind of breakfast than sitting on their stunning terrace, overlooking the ancient Villa, the castle and the light blue sea while being served best italian cappuccino and freshest orange juice. The buffet was really high end and one of the finest I have seen in Italy - not being big but having nearly everything and of the highest quality. Nougat comes from Italy and is served in the best quality label, fruits are as fresh as they fall from their trees, cheese like it just arrived from the farm! As I am such a discerning breakfast lover, I was surpised to see charges for their special egg dishes: I would have loved some Eggs Florentine, but the 10 euros extra charge looks a bit unnecessary with nightly rates of around 400 euros per room. Anyhow I had scrambled eggs from the buffet which were excellent. After the simply perfect breakfast I enjoyed my last hours by the pool. In fact it is one of the most impressive pools I have ever bathed in with a perfect depth and suitable length. Honestly the highlight was the roman-style look and breath-taking sea view from inside. The yellow-striped towels add their touch to the special retro charme. All in all it was one of the most memorable places I have ever stayed at and I would recommend it to everyone who is looking for something special. 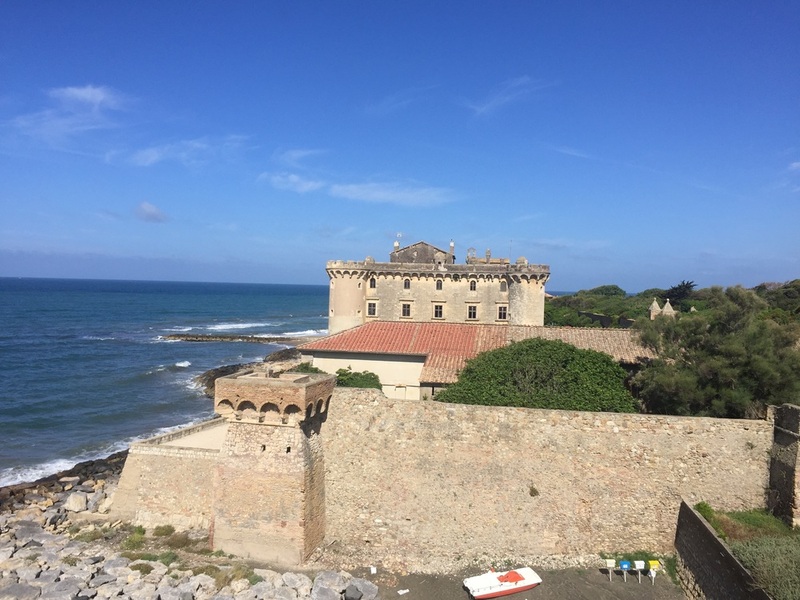 Tough Ladispoli is not Rome, you can easily get to the capital of Italy within one hour and therefore La Posta Vecchia is also suitable for a relaxing city hideaway. What was so special about this hotel? In fact the most special effect was that you could be a Billionaire like Jean Paul Getty the First and the hotel is rather a private villa than any luxury hotel. You can sit anywhere and read a book, chill by the pool and being served with bath mat and towel as soon as you get out of the water or come back from dinner outside the house, sit on the terrace for a late night cigar and the night manager arrives with a complimentary glass of Prosecco to sweeten you spontaneous idea! I think it is unnecessary to say that they only speak to you by last name even when the restaurant staff didn't see you before. I was speechless and overwhelmed more than two times during my stay and therefore this hotel is entitled to be called one of the best hotels in the entire world! Well done!